The Fee Schedule Report lists the description, code, and fee for each procedure in a specified fee schedule. The report is grouped by procedure code category. 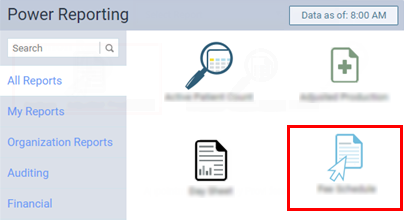 On the Power Reporting page, click (or tap) the Fee Schedule icon. 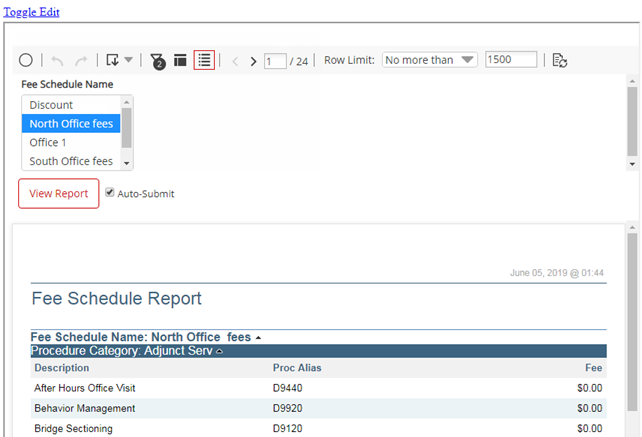 From the Fee Schedule Name list, select the fee schedule that you want to view the report for. Then, if the Auto-Submit check box is not selected, click (or tap) View Report.